Train in private, look good in public. Your One hour session is personalized to your fitness goals, be it to improve your lifestyle, train for a marathon, loose weight, etc. All aspects of a healthy lifestyle are addressed (weight training, cardio, and nutrition) during and between your sessions to keep you on track. I motivate and hold clients accountable thru cardio and food logs, emails and text message between sessions and personal notes acknowledging there progress and what they need to work on. Bachelors Degree, TRX Suspension training, 15 years of continuing education health and fitness courses. 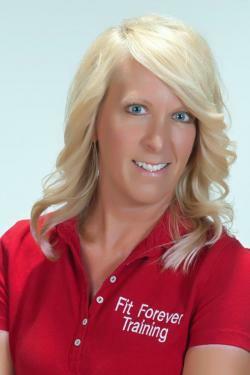 I have been a personal trainer for 15 years and work with all ages and fitness levels. I started my career at Fitness Together and from there started my own training business, 12 years ago built on personal referrals. My passion for helping people improve their lifestyle has been the driving force of my health and fitness career.